Are you travelling to London in a group of 6? Staying in a self-contained flat is the most cost-effective alternative to hotels. At Carlton Court, we offer opulent three bedroom apartment for both short and long term stays. Our flat has separate sleeping, dining and living areas so that you have a separate space for working, relaxing and having fun. Once you rent our apartment, you can use it like your own home. Serviced apartments are increasingly becoming the preferred choice of accommodation amongst travellers, especially those travelling in groups. This is because hotels will want you to take separate rooms with each room accommodation only 2 adults and a child are allowed to stay. Our boutique flats, on the other hand, allow you to live like a Londoner. As you rent our apartment, it will be your home for the next few days and you can all share the living space to truly enjoy your vacation. At Carlton Court, we are dedicated to making your London stay as exciting and comfortable as possible. If you choose us as your accommodation partner, you will be enjoying housekeeping services 7 days a week, round-the-clock security, free breakfast throughout your stay, 24/7 concierge services to take care of your needs and more. Even though we provide you with a homely feeling, we take care of the daily chores on your behalf. If you are looking for 3 bedroom apartments in central London, our Mayfair serviced apartments is the perfect option for you. In addition to Mayfair being one of the safest neighbourhoods of London, it is also in close proximity to the city’s business hub, tourist attractions and other local spots of interest. There is also boast of excellent public transportation links. 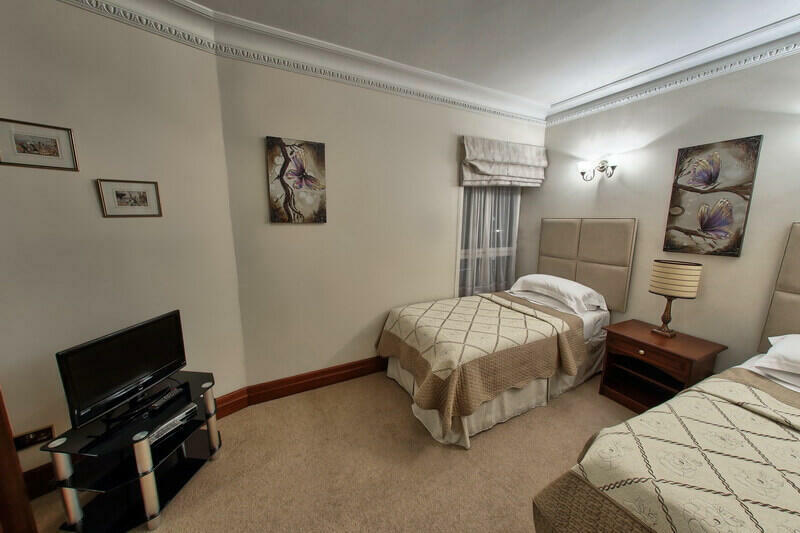 Our three bedroom apartment fits 5 to 6 people and if you need extra cots or beds, we can make the due arrangements. Get in touch with us, today!